When it comes to booking a family holiday, the actual “booking a holiday” bit is only a small part of the prep. There are lots of other things to think about in order to make a family holiday go smoothly and I thought I’d write a little list to help you if you’re still in the prep stage. There are lots of options if you’ve got pets, such as leaving them with family or asking someone to move into your house to care for them (this option also doubles-up as having someone to keep your property secure, too, giving you peace of min while you’re away). You can also find in-home boarders who look after your pets withing their own houses, as well as large commercial kennels and catteries. Don’t forget to budget pet boarding within your total holiday budget as it can often be pricey. If you live a long way from the airport, you’re going to need a way to get yourselves there. Often, airport parking (great deals here http://www.parking-at-airports.co.uk/) works out a lot more economical than getting a taxi or minibus and it means you know that your car is secure while you’re away. It’s also nice to get into your own vehicle after a long flight as it feels like a little slice of home! The value of being able to control your own temperature and listen to your own stereo will feel priceless after a long-haul flight. Often, its possible to check in at the airport online, which means less queuing when you get to your terminal. This is worth its weight in gold if you’re already wrangling excited kids and can make your whole airport experience 100% less stressful. This will leave you more time for perusing the duty-free shops and lounging in the airport lounge! If you’d like something a little more secure than a whole wad of paper money, ordering pre-paid credit cards and loading your holiday money onto them is a great idea. You can split the money across a couple of cards which means you won’t be stuck if one gets lost and many of them also offer an app which allows you to add money and move your balance across, so if anything does happen to one of the cards you can always transfer it all onto one. 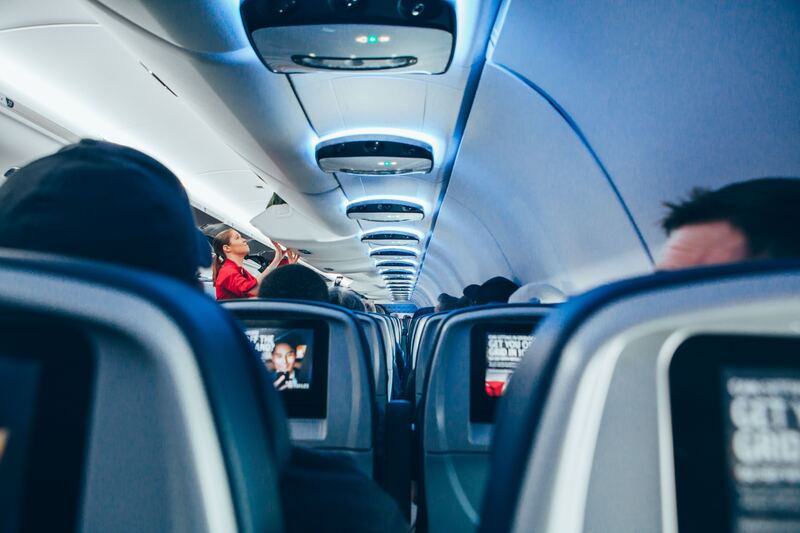 If you’re flying with kids, then making the flight as seamless as possible can take a little prep work. Give each child a compartmented lunch box filled with snacks to keep them fed while you’re flying, Putting together a gadget bag containing games consoles and tablets (as well as the corresponding chargers) is also a good idea, as well as a bag full of colouring books, drawing pencils, and activity books. Be prepared for them to find the take-off and landing uncomfortable on their ears, and giving them chewy sweets can helo to relieve the pressure. It’s also wise to take paracetamol/ibuprofen with you in case anyone feels poorly on the plane.